The final verdict on Yemen was pronounced by God Himself, Who first visited New York and observed “oh! it’s changed a lot.” Next, He visited Delhi and brightened up “Well! I remember some of it”. Finally, He went around Yemen and burst out joyfully “Yes! This is how I had left it”. At the south-west corner of that climatically unsettling Arabian peninsula, Yemen is a country blessed by nature with many bounties – a long coastline with a busy seaway; fertile mountains – the Haraz – that trap copious rains; salubrious climate and daunting landscapes favourable for adventure tourism; a long, proud fractured history that has largely remained untold beyond its borders and a stunningly photogenic vernacular architectural heritage that is indescribable. Its prevailing status as a poor cousin of other Arab nations has kept it out of the limelight for decades; and were it not for the current turbulent “Arab Spring”, it hardly contributes any happy news to the International media. Whereas British seaports of an earlier era, like Colombo, Singapore and Hong Kong have now reached iconic status, Yemen’s once famed British port – Aden – has actually managed to slip off the shipping map. The bane of the country, apart from its oppressive oligarchical government, is a deep malice affecting a vast majority of the male population, converting them into compulsive ‘lotus eaters’, brought on by the addiction to the leaves of the “qat” plant. After stuffing a wad of leaves into the cheek, it is neither chewed nor moved about, but sucked like a peppermint. More wads are added at intervals without spitting out the old so that by mid-day an average addict’s cheek appears to be bulging as if with a golf ball inside – making it impossible for him to conduct any profitable business; not to mention the long-term chain reactions and consequences resulting from such inactivity. But matters were not as despondent a thousand years ago. In a severally male-dominated, patriarchal tribal society, Yemen has been the only Arab nation to be ably governed by a woman (not including the Pharaonic Cleopatra or the Jewish Queen Sheba) – the fearless and incontestable Queen al-Sayyida Arwa al- Hurratul Maleka (or Queen Arwa / Queen Maleka / Queen Sayyida for short), the last in line of the Sulayhid Dynasty, who remains the only female Islamic ruler to have headed both temporal and religious affairs. The country is of particular significance to us Dawoodi Bohras and is perhaps the pivot and the fulcrum of our chequered history. Sanaa, the Capital, is one of the oldest living cities of the world and, set within a mountainous region is also the highest situated Capital. For the most part, it is not a very remarkable city, nor very scenic. As you drive in from it’s ramshackle El Rahaba Airport, to a mulish welcome, along with a fairly modern expressway, the impression that slowly builds up is of a city that has an indifferent sense of aesthetics. The roads are lined with monotonous buildings of uniform colour and of more or less similar appearance. Adding to the incongruity are a large number of nondescript and incomplete structures that reveal stories of frugal funds sent in by breadwinners from overseas. Seen along with the rickety and battered vehicles on the roads, the overall picture that emerges is of a city that is not doing too well economically. 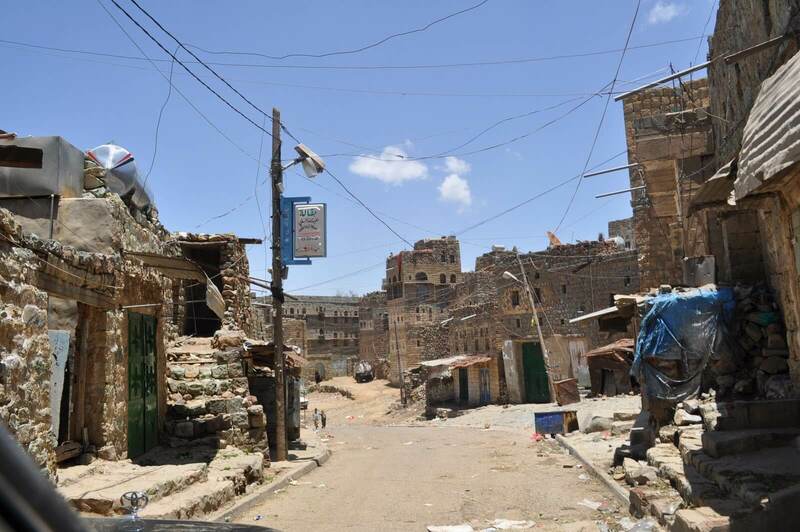 But come to Bab-ul-Yemen – the Yemen Gate – and the change is dramatic. Confined within its walled rampart is an area of amazingly beautiful vernacular buildings, in a style that is completely unique and regional. The first thing to be said about these buildings is they are so tall, some as high as seven floors, and crudely handcrafted, you wonder how they have managed to stand for so long. Only then you notice the colourful glasswork in the arched windows, the semi primeval designs in white lime that border the openings and the coarse stone and brickwork of the walls. And finally, you notice the throbbing activity in the narrow, winding alleys – a typical Arab Souq, full of items you can barely begin to identify. 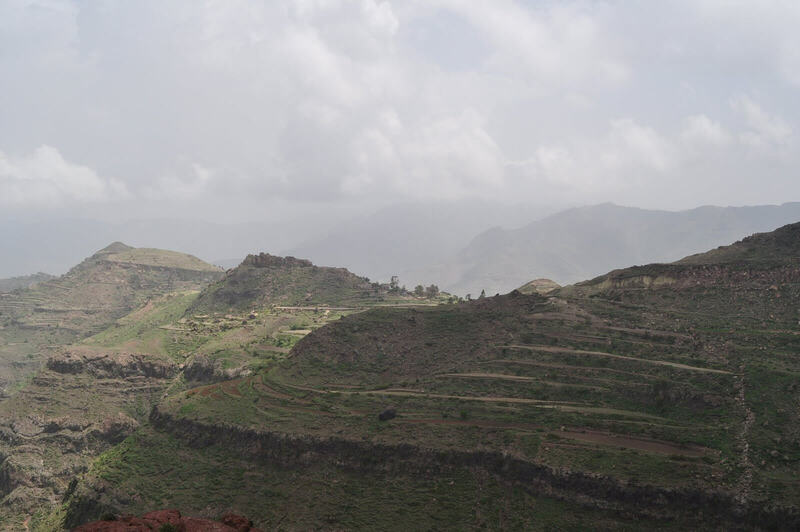 About an hours drive from Sanaa is the formidable escarpment of Zimarmar, rising a thousand feet like an ephemeral hazy shadow, a massive concave wall in a barren rock-strewn countryside. For the Dawoodi Bohras of all age groups, the climb to the top is a challenge they accept unhesitatingly, sometimes to be rewarded miraculously by a complete cure for any prolonged ailments. Heading south from Sanaa, our next major stop was at Ibb, a fairly large city with a taste for Bollywood movies and raunchy Hindi songs. The garbage and the grime everywhere, partly occasioned by the rainy season, were appalling. Close by is the ancient town of Jibla, the capital of Queen Arwa. The callous indifference to the magnificent history all around is heartbreaking. The Queen’s museum, with the most basic and poorly presented information, is a farce. Sample these pathetic descriptions of the Queen on scraps of A3 printouts and draw your own conclusions: “She was called the small Belqees for her aphorism and good arrangements” (sic! ); “Among her qualities, she was white with redness”; “On the opposite of her husband’s mother who was ruling without a curtain”; “She had completely good points. Her voice was sonorous. She was a reader and writer”. West of Ibb, the drive up along the coastal road on the Red Sea is remembered notably for those extraordinarily shaped palm trees that look like huge wishbones stuck into the ground. Back into the mountains, Our final stop was Hutaib and the difference in the quality of life is immediately visible. This is an exclusive Dawoodi Bohra enclave where a concerted attack against the cultivation of the “qat” plant is beginning to show promising results; with the crop being replaced mainly by coffee plantations. (Yemeni coffee, originally brought in from Abyssinia – now Ethiopia – has always been top class, with Mocha, a small port town, lending its name to a world-class brand).The lamp of education has dispelled much of the darkness all around and more importantly, has generated a much needed Global connectivity. 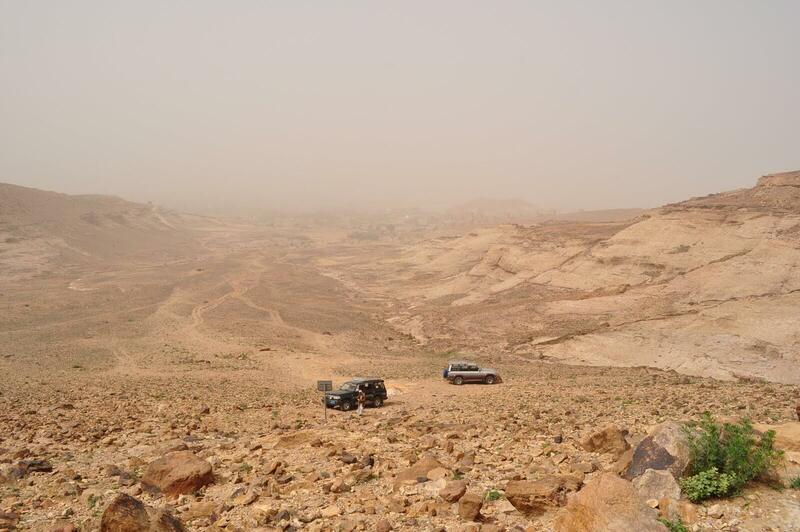 The Haraz mountains offer spectacular views and arduous trails for the seasoned adventure seeker. The little outpost of Manakah, perched on a flat massif, close to Hutaib, is the place for victuals and dependable guides. One lasting regret that will rankle for a long time is that our itinerary could not include that magical desert town of Shibam in Wadi Hadhramawt – an architects’ and photographers’ delight and home to the world’s only mud skyscrapers. Having come this far, let me take the liberty to suggest to the reader to browse this name on the Net. It will be well worth the effort. Neither the vagaries of war and conquest by neighbouring powers nor the internecine religious persecutions of one community by another had excited the Yemeni people from their native indolence so much, as the current The Arab Spring appears to have done. It is a late wake-up call that the regime mistakenly presumed to be a copycat revolution with insufficient grass root support. But one hopes that the exigencies and torrent of global trend will finally prevail.